It is argued that the methodology of Einstein’s 1905 theory represents a victory of pragmatism over explanatory depth; and that its adoption only made sense in the context of the chaotic state state of physics at the start of the 20th century — as Einstein well knew. These are Oxford philosophers, in the supposedly best philosophy of physics program in the world. Whenever someone discusses the history or foundations of relativity, they either tell the Einstein story as if he did it all, or they acknowledge that others had all the parts to the theory before Einstein, but go out of their way to argue that some subtle nuance means that Einstein should get all the credit. This paper is no exception. Einstein is famous for claiming in 1905, on the basis of his relativity principle, that all laws of physics, including those of electrodynamics, take the same form in all inertial reference frames, so happily Maxwell’s equations can be used just as well in the moving laboratory frame. But this conclusion, or something very close to it, had already been anticipated by several great ether theorists, including H. A. Lorentz, Joseph Larmor and particularly Henri Poincaré. This was largely because there had been from the middle of the nineteenth century all the way to 1905 a series of experiments involving optical and electromagnetic effects that failed to show any sign of the ether wind rushing through the laboratory: it was indeed as if the earth was always at rest relative to the ether. (The most famous of these, and the most surprising, was of course the 1887 Michelson-Morley experiment.) Like the above-mentioned ether theorists, Einstein realized that the covariance of Maxwell’s equations — the form invariance of the equations — is achieved when the relevant coordinate transformations take a very special form, but Einstein was unique in his understanding that these transformations, properly understood, encode new predictions as to the behaviour of rigid bodies and clocks in motion. That is why, in Einstein’s mind, a new understanding of space and time themselves was in the offing. Both the mathematical form of the transformations, and at least the nonclassical distortion of moving rigid bodies were already known to Lorentz, Larmor and Poincaré — indeed a family of possible deformation effects was originally suggested independently by Lorentz and G. F. FitzGerald to explain the Michelson-Morley result.16 It was the connection between them, i.e. 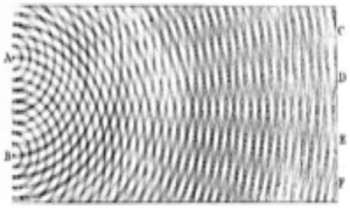 between the coordinate transformations and motion-induced deformation, that had not been fully appreciated before Einstein. In the first (“kinematical”) part of his 1905 relativity paper, Einstein established the operational meaning of the so-called Lorentz coordinate transformations and showed that they lead not just to a special case of FitzGerald-Lorentz deformation (longitudinal contraction), but also to the “slowing down” of clocks in motion — the phenomenon of time dilation. Now it is still not well known that Larmor and Lorentz had come tantalizingly close to predicting this phenomenon; they had independently seen just before the turn of the century how it must hold in certain very special cases. But as a general effect that does not depend on the constitution of a clock, its discovery was Einstein’s own. Thence we conclude that a balance-clock7 at the equator must go more slowly, by a very small amount, than a precisely similar clock situated at one of the poles under otherwise identical conditions. [footnote] 7. Not a pendulum-clock, which is physically a system to which the Earth belongs. This case had to be excluded. There is no such nonsense in the papers of Lorentz and Poincare, as they applied the time transformation to everything. Poincare was one of the nominators for Lorentz's 1902 Nobel Prize, and specifically praised his ingenious application of local time to all clocks. The paper does rebut the idea that Einstein's theory was superior because it was kinematical, while Lorentz's was dynamical. Pais's argument is stupid for other reasons anyway. Lorentz deduced his transformations from experiments, and then gave a constructive explanation of what is physically really going on. Einstein distilled a couple of postulates from Lorentz's reasoning, gave an alternate derivation of those same transformations, and wanted to give a constructive explanation because he could not get it to work. Lorentz's 1915 explanation was completely correct, as was later proved using quantum field theory. It is not the preferred explanation, as that has been the Poincare-Minkowski non-Euclidean spacetime explanation. Einstein has nothing to do with that. The point of the above paper is to rebut the argument that we should be happy with an instrumentalist interpretation of quantum mechanics because Einstein was happy with an instrumentalist interpretation of special relativity. Einstein was not so happy with his 1905 interpretation, the paper argues. That's right, and others were not so happy with it either, as the geometric interpretation was already more popular in 1908. The paper does not mention it, but I believe that in the Bohr-Einstein debates, Bohr (or maybe Pauli or someone else) expressed surprised to Einstein that he was so negative about instrumentalism when that was his chief claim to fame from his 1905 relativity paper. Einstein disavowed the view that relativity was just something to accept from postulates. FitzGerald-Lorentz (1889-1992) Logical consequence of interpreting Michelson-Morley as a constant speed of light for all observers. Lorentz (1995) Solids contract because a moving electromagnetic field distorts space and time parameters. Einstein (1905) Logical consequence of postulating a constant speed of light for all observers. Poincare-Minkowski (1905-1908) Non-Euclidean geometry of spacetime. I consider the geometry a satisfactory explanation, but you might consider it mathematical trickery. I guess Brown considers the Lorentz electromagnetic theory a more constructive physical explanation. But what is the lesson for quantum mechanics? It is nice to have some explanations that gives an intuitive feel for what is really going on, but not essential. The trend among anti-positivist philosophers is to latch on to some goofy interpretation of quantum mechanics because it is more realist, whatever that means. It usually does not mean a more intuitive theory to me. 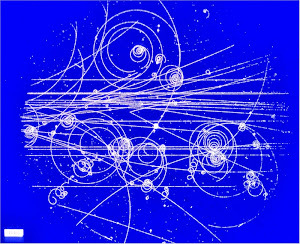 Poincare's 1905 explanation was that there were two interpretations: the one given by Lorentz, and saying that relativity is a theory about “something which would be due to our methods of measurement.” 25 years later Bohr would explain quantum mechanics as being about our methods of measurement, and uncertainty about what we cannot measure. That seems reasonable to me. Did you ever notice how little the media talks about Bohr? It's all Einstein. It's simply an irrational cult of personality. I can't even find a lecture of Bohr online because the Bohr archive is squirreling it away.